I once had a little respect for what I sometimes had opportunities to read from End Times Prophecy Report. No more! It is evidently edited/authored by one Jeremiah J. Jameson. Also listed as co-writers are an Elaine and Mondo Frazier. I've, to the best of my knowledge never met them nor otherwise heard from them. Those of you attempting to reach me know that I answer my phones and am, if able, willing to talk. I've spent most of my resources doing this work over the past 36 years (since discovering the subject in early 1981) and have refrained from begging or passing the hat for my work. I've refused to commercialize my work nor turn it into a cheap "ministry." I've shared my documentation freely with those who asked. I've occasionally looked at End Times Prophecy Report. Today, I found something there that greatly saddened me. I reproduce it below as written. If they want to claim a copyright on their libelous piece, tough break. I claim fair use of the material. THERE’S MORE THAN ONE WAY TO PROMOTE THE NEW AGE NEW AGE END TIMES PERSECUTION: The Rider of the Pale Horse? Constance Cumbey has made a name for herself as an investigative writer whose claim to fame is exposing the secrets of the New Age. However, those who carefully read Cumbey immediately realize she offers something besides revelations of the New Agers–a great deal more. Cumbey is a spinner of narratives for the same forces she purports to expose, either wittingly or not. In her book, The Staging of the New Age Messiah, Ms. Cumbey went to a great deal of trouble to set up her narrative of a New Age conspiracy which is feverishly working to bring about a “messiah” the Bible calls the “man of sin.” She includes her reasons why this conspiracy should want to help fulfill the Bible’s prophecy–and make no mistake: there is a conspiracy. The Bible speaks of it; and, this cabal does ceaselessly labor to bring about the fulfillment of end times prophecy. However, any reader hoping to get to the bottom of end times questions by consulting Cumbey will find the truth elusive at best. Cumbey weaves her narrative tapestry using strands of psychology, conspiracy, self-fulfilling prophecy and more importantly, the words of the New Age gurus themselves. 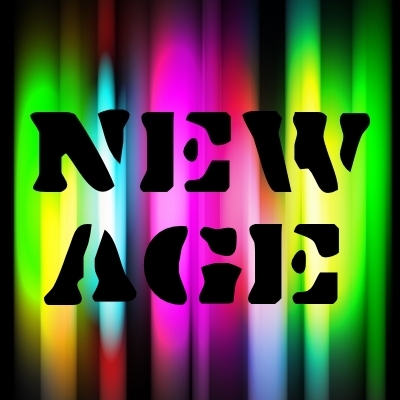 How does one go about convincing the reader that the New Age is the epitome of deception (it is) while at the same time offering the reader what the New Age has publicly declared? That’s the schtick of Constance Cumbey: trust me because I have the truth on the New Age from the lying mouths of the deceptive New Agers themselves. It’s a recipe for more deception and that’s what the reader is in for. Nevertheless, she still leaves out a great deal and what she doesn’t leave out, she conceals behind her narrative wall. Exactly who desires the appearance of the man of sin, for what purposes and what the Bible says about it all, is covered in her noxious smog of yarns, cunningly devised fables and cleverly-constructed counterfeits. Those who take what she has written at face value will come away convinced that the New Age is a dangerous crew. And while that may be true on the surface, the New Age is NOT the mystery of iniquity but only a small cog in its great machinery of deception. Again, the New Age is dangerous. “For the mystery of iniquity doth already work:”—2 Thessalonians 2:7One only has to remember that if the New Age did not exist, it would have to be invented by the mystery of iniquity. One also should keep in mind that once invented, the dangers of the New Age would have to be promoted. Enter one Constance Cumbey, who has performed yeoman’s work in that regard. Cumbey does give the reader some useful information–if the reader is able to extract such information from the narratives the author has used to frame it. One example is the following quote by New Ager, Peter LeMesurier. “The new mission to the youth of the world, then, will be an international movement dedicated to spreading the already developing ideas and values upon which the New Age is to be founded.”This info is useful because the “new mission to the youth of the world” is a priority goal of the Dominionist strands of pseudo-Christianity which the mystery of iniquity depends upon to help introduce its “messiah.” Readers can see this developing in front of their eyes. It is not the New Age which is accomplishing this but the cults of Dominionism (including the New Apostolic Reformation and the International House of Prayer). By a great coincidence, the programs and ideas of these pseudo-Christian cults and those of the New Age are nearly identical. Again, if the New Age did not exist, the mystery of iniquity would have had to invent it. Cumbey devotes thousands of words to what the New Age has to say but precious few on what the Bible says on the same subject. For instance, she studiously avoids answering the logical questions: WHO is it that is interested in a coming Messiah? WHO does the Bible say is interested? WHO is it that desires a man (of sin) who will usher in a worldly kingdom? The reader will find none of these or other pertinent end times questions answered by the cunningly devised fables of Constance Cumbey. One may read Cumbey for entertainment value without much harm. However, the reader of her work will be further from the truth after reading her spin on most of the topics she covers. Our advice is the advice of Jesus, paraphrased. So, I invented the New Age Movement? I wish I had -- if so, I could surely make it go away! I do not know if Mr. Jameson reached this conclusion on his own, if he listened to "Queeny Cameron" tapes. I will trust God to defend my work. I also trust those reading it fairly to do so. I knew I would take persecution for the work I've done and over the years, I've taken much. Some is more painful than others. This one hurts! If he did it for honest motive, I forgive him. Otherwise, may the Lord rebuke him. Stay tuned, but hopefully not to Mr. Jameson's station! UPDATE: Joe & Kelly McNeill who own and run the MicroEffect,com network have suffered a terrible tragedy. Their son was killed during the night in a Florida biking accident. Both your prayers and dollars would help the family during this terrible crisis. If anybody is knowledgeable about setting up on of those Facebook "go fund me" pages, maybe that might help. They have operated the network as a family business on a very efficiently run "shoestring". The son killed was one of those actively working with the business. The network is temporarily off the air while Joe and Kelly are sorting things out. Their website is active and it is www.themicroeffect.com. Will Trump unite Europe against USA and onward and upward to "global governance"? The propaganda war (a/k/a "The Resistance") against the Trump Presidency has been non-stop and relentless from the time of his election through the present time and continuing. The present scenario very much reminds me of an old novel about an attempted coupe against the United States Presidency named "Seven Days in May." There is also a movie by that name. Looking at what is occurring also brings to mind Bible passages that Herb Peters and I once discussed. There is a prophecy about the 10 toes of Daniel -- some strong, some weak. They would "not cleave together." But eventually, something was going to happen that the 10 kings would be brought together to fulfill a prophetic purpose -- "to hand their power over to the Beast and thus fulfill the words of this prophecy." Whoever it would be would be someone, per that prophecy, "to whom they would not give the honor of the Kingdom." He would come in peaceably, with the aid of a few, and obtain the Kingdom by flatteries. He would pull up three of the kingdoms that gave him power by their roots. Strange words indeed? They don't look quite as strange in the light of recent events. The current oft repeated strategy of the global governance crowd is "integration" and surrender of sovereignty. That includes somebody Herb Peters and I long and carefully watched -- the author of the Western European bill introduced in the Year 2000 by Javier Solana -- "Recommendation 666," Indeed Javier Solana's original European Union job was created as Section 666 of the European Union coded documents. That job with the startling number was created for the Europa Code in December 1998 by the Vienna Council in session at that time. Javier Solana "retired" from his 11 year held European Union post in 2010 after repeated attempts to gain European ratification of the new European Union constitution were repeatedly defeated. Only after Javier Solana announced he would be "retiring" did the necessary ratification occur in Ireland. Javier Solana "stepped down" and a lesser qualified candidate took the job with the very high salary that had obviously been created for Solana. She was Catherine Ashton, a woman lacking prior diplomatic and elected political experience. She held the job for the five year term. When her term was up, a probably more qualified person was appointed -- another woman -- Federica Mogherini, who had served as Foreign Minister of Italy. I will confess to personally liking what little I know about Ms. Mogherini, if for no other reason, her obvious hard work and her dedication to freeing Miriam Ibrahim of Somalia, a Christian sentenced to death by the Somalian regime for apostasy from Islam by marrying a Christian. Ms. Mogherini and her then boss, Prime Minister Rinzo of Italy worked tirelessly and successfully for her release from the shackles and death sentence. Federica Mogherini was pictured in the media carrying Miriam Ibrahim's small son off the plane the Italian government had dispatched to transport her to freedom. Far from "retiring," Javier Solana has continued to work and campaign hard for global governance and for European ascendancy. He serves on the board of ECFR, heads the Esade Center for Global Economy and Geopolitics, and advises on European affairs in many matters. In my observation of Solana in the past, he so very often, using the vernacular, "sucked up" to USA politicians, particularly Presidential ones. However, he has not done so with President Trump whom he continues to describe as a "despicable person." Looking at current events, I have seen some other things I would have loved to discuss with Herb Peters. Javier Solana's former "hatchet woman," Cristine Gallach is now the Under Secretary of the United Nations for Communications and Public Information. There are numerous reports on the internet that she has been operating in that job with a decidedly heavy-handed, even ruthless manner. In my opinion, that job is hers because of Javier Solana's heavy influence in global governance and United Nations circles. There are times that I think I may have paid too much attention to Dr. Solana, but once again, I'm not so sure.